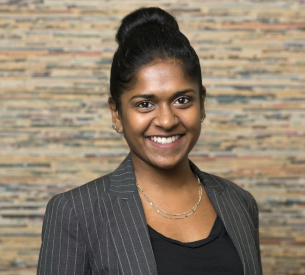 Shilpa Clark joined the Dispute Resolution group in the New York office as a Senior Manager in October 2018. She has 15 years of experience in the industry, with a background in Civil Engineering, project management, construction claims analysis and litigation support. Shilpa holds her B.S. in Civil Engineering from NYU Tandon School of Engineering, and her MBA from Baruch College. With her wealth of experience with claims, dispute avoidance and resolution, and risk management, Mrs. Clark’s role within the Dispute Resolution division will allow her to drive solutions and value for our clients and help manage the dispute resolution and expert witness service line. Before joining the firm, Mrs. Clark was a Design Engineer, planning and designing (electrical, plumbing, structure, etc.) mixed-use structures in New York and Pennsylvania following all applicable building codes. Prior she worked as a Project Manager for Ports America, where she managed their $500M Capital Expansion Program of the 270+ acre Marine Terminal in New Jersey. In her time with FTI Consulting, Mrs. Clark provided services in litigation support, cost analysis and claims management.